While this seems to be a simple concept, we swear you won’t be able to think of any game which uses sheer firepower to wreak havoc - BlowThis!, brought to you by HellFish Studios , is a brand-new game that will certainly blast its way to the top of the charts. 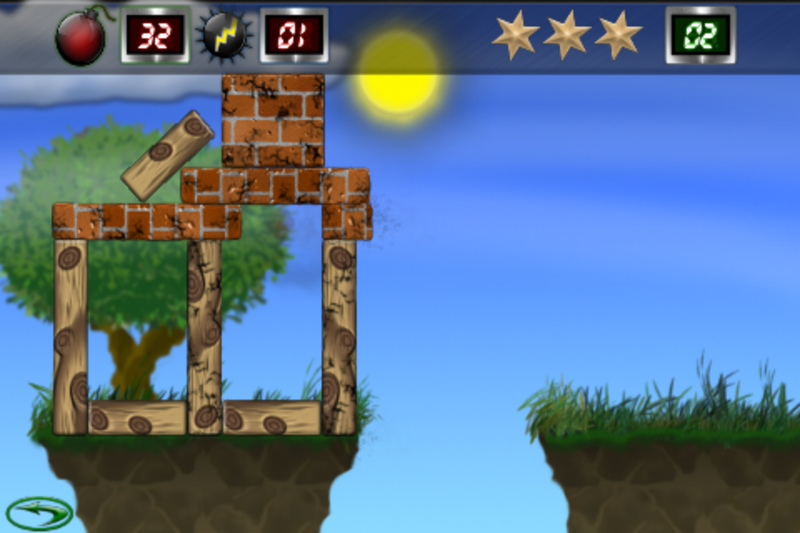 The aim of this iPhone game is to destroy towering structures using things with actual explosives. BlowThis! Guarantees you achieve the perfect explosion that would send the pieces flying for miles away! Despite being a newbie to the App Store, BlowThis! is remarkably sharp looking and entertaining to play. The game features fancy OpenGL graphics and realistic physics simulation, and definitely brings enjoyable feat of explosive goodness. With the simple object to strategically place bombs and mines around structures in order to clear it from the screen, the game is not as easy as lighting the fuse and running for cover, though. Despite having to carefully place your explosives, it’s also up to you to decide how much power (nitro) to use to achieve the goal. Overusing the powers may lead you to the leak of nitro and disable your play until you more nitro in certain levels to continue. This makes BlowThis! quite a challenging game to play, with a bit of difficulty making it past the first few levels, so players need to be careful with the amount of nitro used. • High-performance graphics-rendering using OpenGL! • Adjustable bomb-size to control your detonations! • Several object-materials which require you to use different strategies for each level! • Earn rewards and share with your friends on Facebook or twitter! • 150 levels available to blast your way through! To succeed in BlowThis!, one really needs to make clever use of gravity and smart! The rewards given to you for really good results that you score can be shared with your friends on Facebook or twitter. Being completely ad-free, BlowThis! is available in the Apple App Store, and starting from Friday, it will be available for free for a certain period of time in regards to the Free Campaign! So don’t miss the chance to grab it free of charge from tomorrow, and start blowing stuff up!